Video game doyen Billy Mitchell has a fare few video game accolades to his name. But Pac-Man is the one that's focused on in this mini documentary by YouTube channel Great Big Story, as the one that is his crowning glory. It focuses on when he beat Pac-Man by achieving the perfect score. Which is something that was never meant to happen. Ever. It's an arcade miracle and something, the doc reveals, that even the video game's creator Toru Iwatani didn't even know was possible. To beat the Pac-Man game Billy Mitchell had to get the perfect score of 3,333,360 points, which he did on an original Pac-Man arcade on 3rd July 1999 and was the first person ever to do so. Before Billy Mitchell started being a video game don he used to play pinball, but moved on to video games when he realised that's where the action had shifted to. 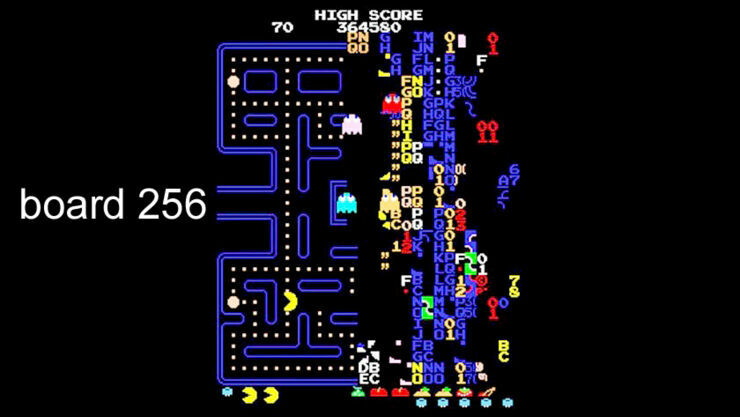 His previous achievements before the perfect Pac-Man score include getting the first highest overall score on Donkey Kong, with 886,900 in 1982. For the Pac-Man perfect score he explains that you start out on board 21, where things start heating up. And then you have to do the same reptitive play all the way until board 255. Which he says takes around four to five hours of dedicated concentration. You can't miss a dot or die at all. Mitchell also notes that you have to take a corner at 1/60 of a second and all in all you end up doing that around 29,000 times. Then at board 256 you get a spit screen, because at this point there's only enough memory left in the game for the left half of the board to show, the right side becomes gobbledygook. This was something that, again, even the games creators didn't know happened until Mitchell showed them (he achieved the split screen level previously back in 1983). After no doubt some tense final moments Mitchell got his perfect score, and when he saw the 3,333,360 come up he sounds like he had a brief period of zen-like wonder: "Wow, I achieved perfection." he notes. All his efforts paid off too, because not only did he achieve his goal of the perfect Pac-Man score. But because of it—and his previous gaming achievements—he was awarded the title of "Video Game Player of the Century" while at the 1999 Tokyo Game Show by Masaya Nakamura, the founder of Namco who Billy Mitchell calls the "Godfather of video games."